Each year the city of Murrieta takes time to reflect on where it is as a city. They also discuss what’s in store for the coming year. 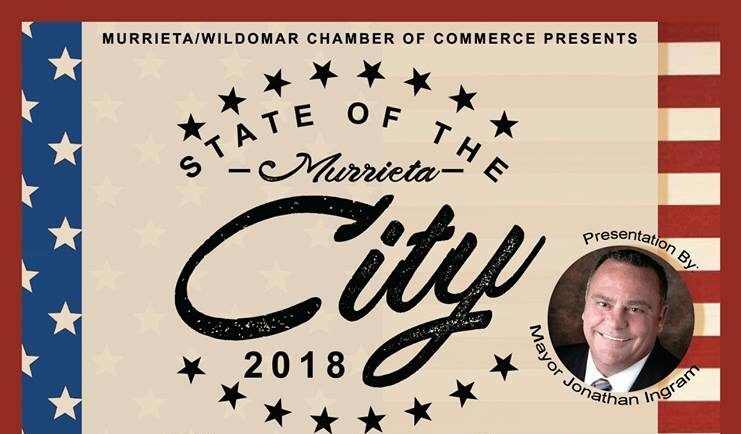 The Murrieta/ Wildomar Chamber of Commerce presented this year’s State of the City. The event took place at the Murrieta Spectrum on Tuesday, July 24. Renaissance Village Murrieta was one of the event’s sponsors. Also receiving recognition from Mayor Jonathan Ingram on their contributions to the local community. Mayor Ingram thanked everyone for coming before introducing a video of the State of the City. The video provided an overview of where Murrieta’s history. It also highlighted the city’s thriving entrepreneurial focus and strong community. The video also shined light on the city’s medical innovations, public safety, and more. After the video presentation, Mayor Ingram answered a few questions. In his discussion, he recognized Renaissance Village Murrieta. He highlighted its contributions to the local senior community. Continental East Development and Renaissance Village Murrieta receive this recognition with honor. Thank you to Mayor Ingram and the community. Additionally, we are proud members of this thriving community. We look forward to seeing all that comes to fruition this year and in the future.